BIM remains one of the biggest assets to the construction industry and architects are defining its precise worth before explaining its impact. Ideally, it has been said so many times that BIM is more than just 3D representation of a construction project, it is a platform that coordinates and collaborates designs and helps to manage construction decision-making strategies. From engineers to architects, contractors, surveyors and building product designers to interior designing firms, BIM has a profound effect on each of these professions. From documenting every design to all the way through construction planning, BIM has helped architects collaborate with every other professional. For example, with BIM architectural designs can be easily coordinated with structural plans, and can deliver designs with an appropriate level of detailing (LOD) and AIA standards. There has been a drastic speed improvement with the advent of CAD as compared to the traditional practices of designing on the sheet and developing blueprints. BIM has given architects the liberty to not only develop 2D drawings in 3D but render it to create interactive animated videos and animated walkthrough for quick design development. When design dimensions of one part of the building are changed, all the related dimensions are taken care of automatically. Sectional drawings, hatch patterns, elevation and plans, all can be directly derived from the native 3D BIM models. Even today, although we experience that BIM is not completely adopted in the early stages of building design, concept architects still can use BIM to track design changes across the process. With all the traditional methods, it is not only difficult but sometimes also very tedious to manage and record each of them. And in all these hustles, focusing on quality becomes a secondary task. However, with BIM platforms like Navisworks, coordinating designs and track each change in a common data environment is pretty simple. Every change can be tracked, traced and no blame games are there to say. Every stakeholder can take the ownership as well as can have their say during the critical decision-making process. Secondly, with BIM, the designers can reuse the same designs in parts or the entire block over and over for more than one time. Small changes can be made to the designs, colors of render can be changed and the complete look and feel can be changed and design consultant can communicate with the clients easily. BIM is an efficient way and the CDE is an excellent means to work with the complete design team at the same time despite being located in different geometries. Autodesk Revit, Allplan, Sketch-up etc. are so many other views that could help architects develop the designs with elegance and reduced errors in terms of coherence, logic, and physics. While designs were prepared with hand sketches and when now they are prepared with software tools, the designs have drastically improved in the accuracy. This accuracy can be defined in terms of dimensions as well as coherence, both simultaneously. With BIM you do not need to check the information if it is coherent every time you make the changes. It automatically takes care of the dependent dimension. For example, when the design of the door is changed, say for the breadth of the door has been increased, the corresponding frame size, changes in wall dimension will change accordingly. RFIs are the inevitable part of any construction project where there are multiple teams working independently and then collaborating post a certain stage. More complex the project, higher is the number of RFIs raised by the project managers. With BIM in place, generating digitized RFIs and other construction and technical documents based on the 3D model, is easier, tracked and can be answered easily. This is because with BIM, all the design data that can be acquired from single source file even at concept stages. BIM’s CDE and IPD (Integrated Project Delivery) ensures the ability to provide much more than mere designs in 3D. It goes to devising construction strategies by which the architects can actually plan the level of detailing for designs needed at every stage and make it available. It means that with BIM, architects can provide stronger building design development and maintain the leading edge. When BIM helps in finalizing the design, the most important factor is the ability to explain the occupation of floor space and floor plans. With blueprints, everything is shown with lines, be it steps, kitchen counter or furniture. But with BIM floor plans, the area can be clearly demarcated and represented in 3D which gives the client clarity by just one look. The changes – whatsoever found – can be suggested early in the design stage which helps later in the construction stage to save cost and time. Thus, all in all, BIM has umpteen benefits to architects, just as many as the holistic construction industry. 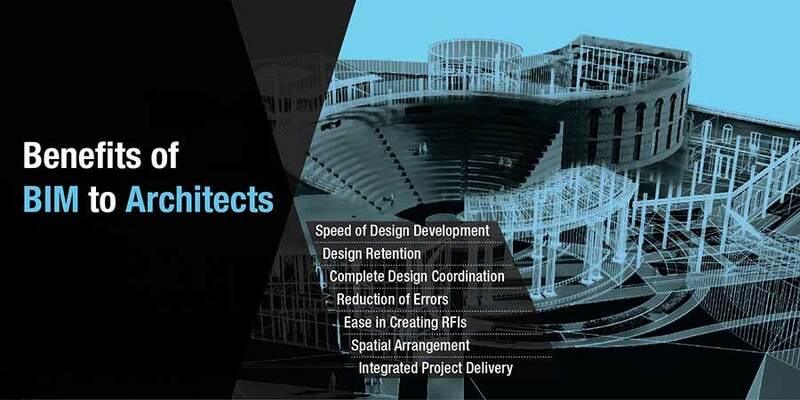 It is right time for architects and architectural design consultants to embrace BIM services right from the start of designing, if you need help, our BIM experts can partner you with BIM project execution planning experience. Drop us an email at info@hitechcaddservices.com and we shall get back to you. 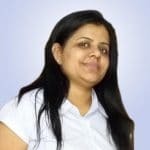 About Author: Hiral Patel is a news editor and has been contributing to the AEC industry since last 7 years. She mainly writes about the application of BIM across Architecture, MEP and Structural sectors. Her focus is towards encouraging construction companies, sub-contractors and architects to adopt right technologies to improve efficiency and profitability.